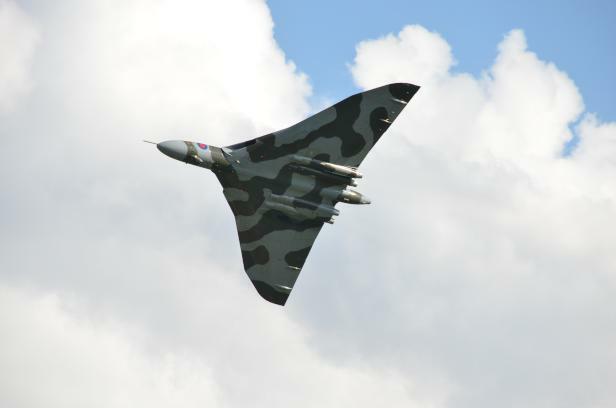 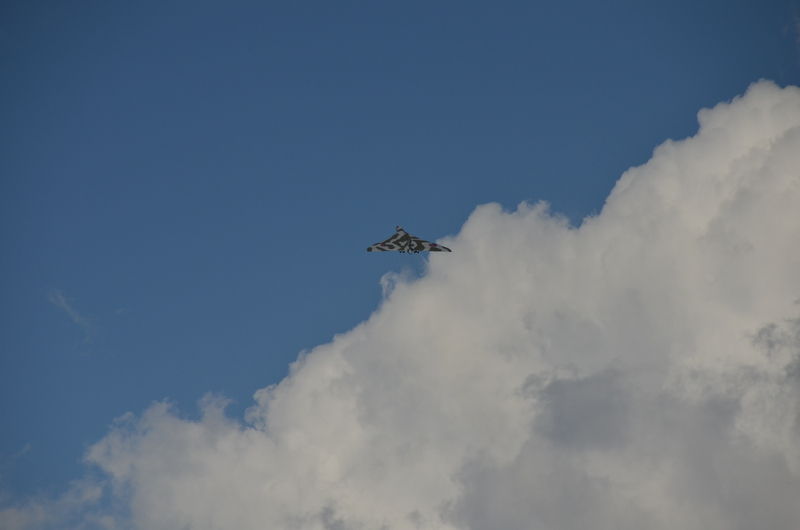 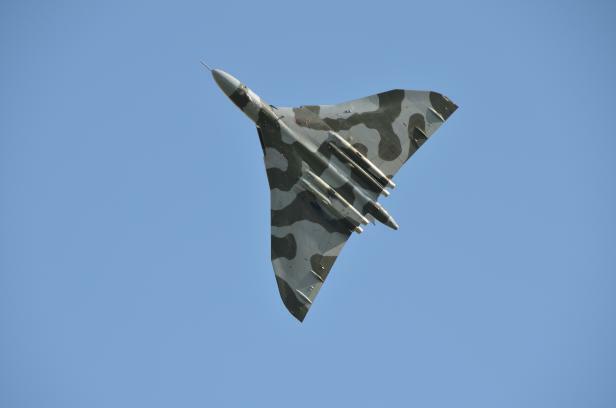 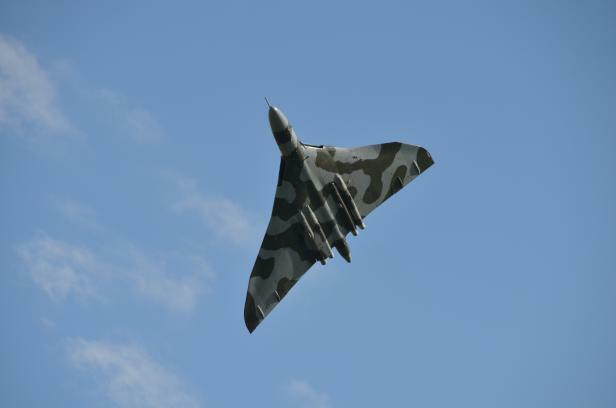 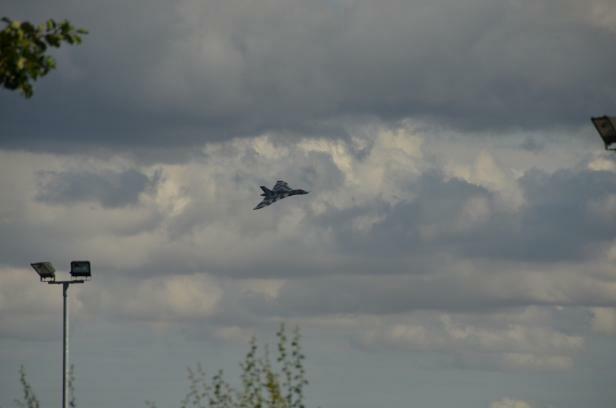 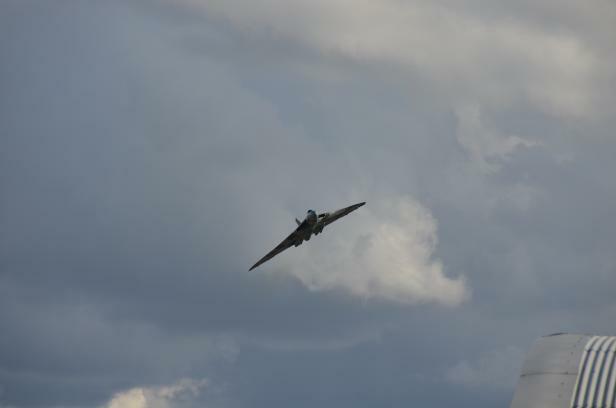 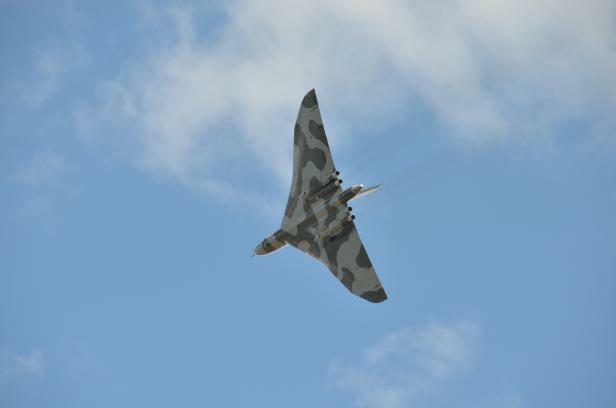 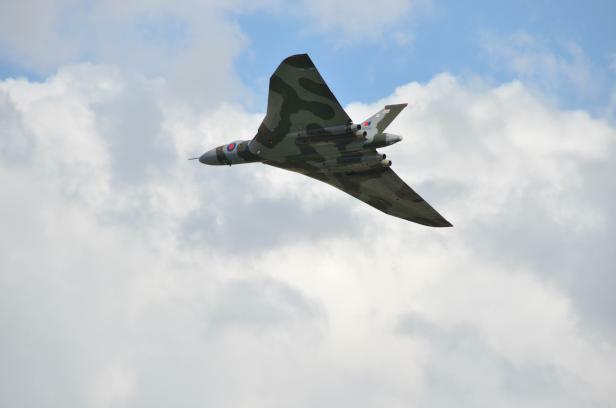 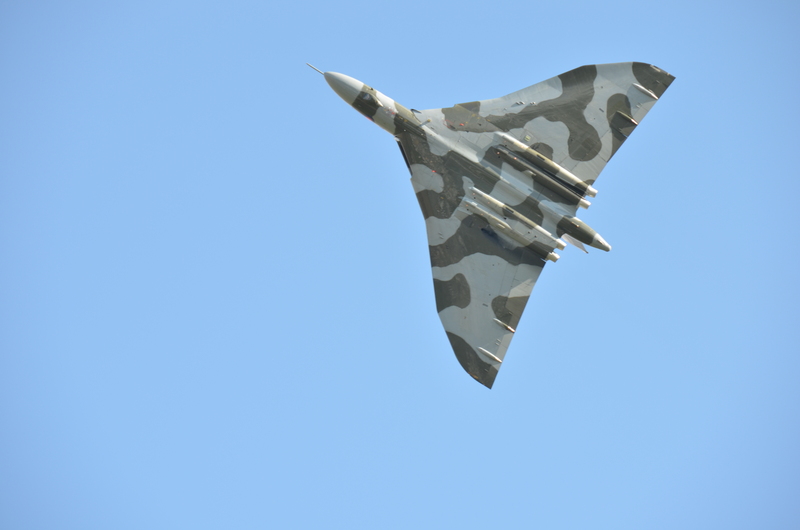 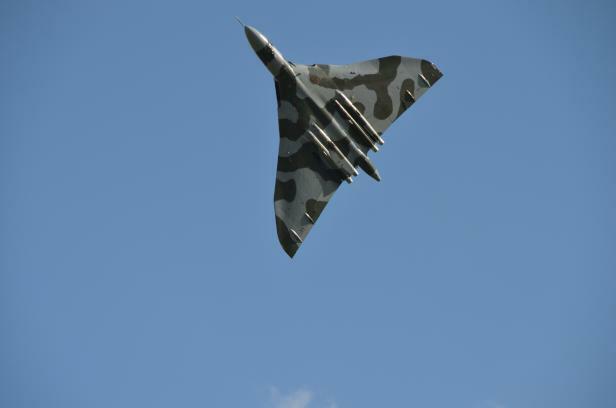 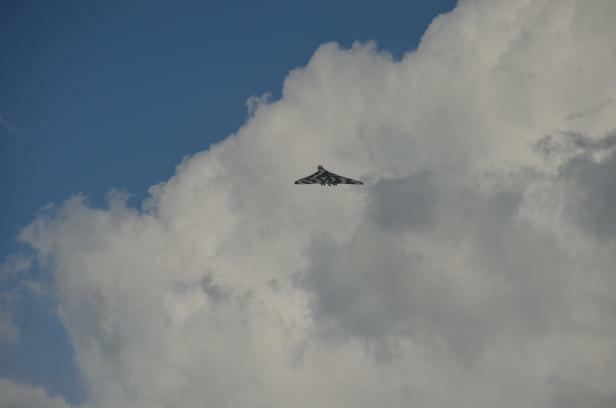 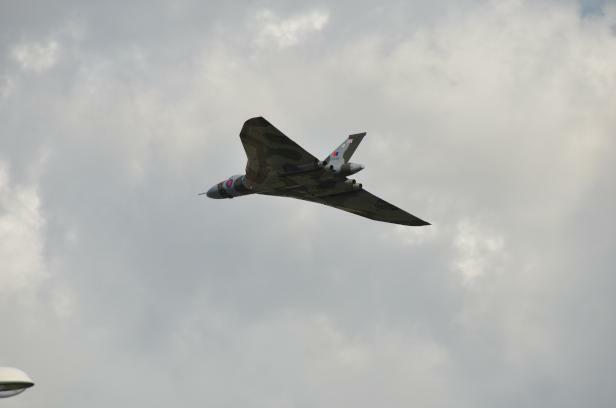 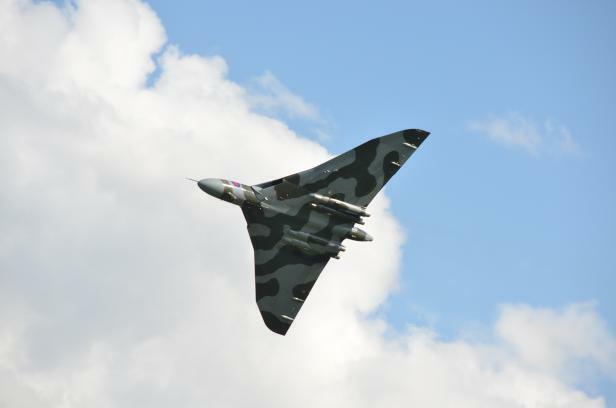 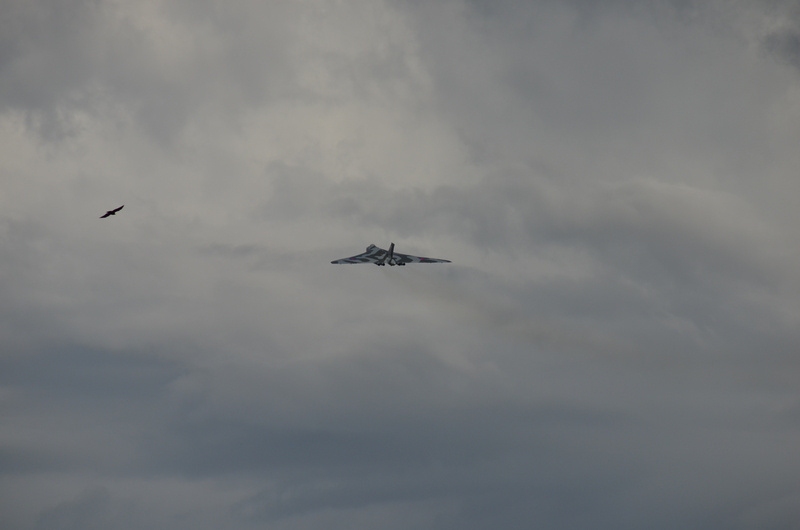 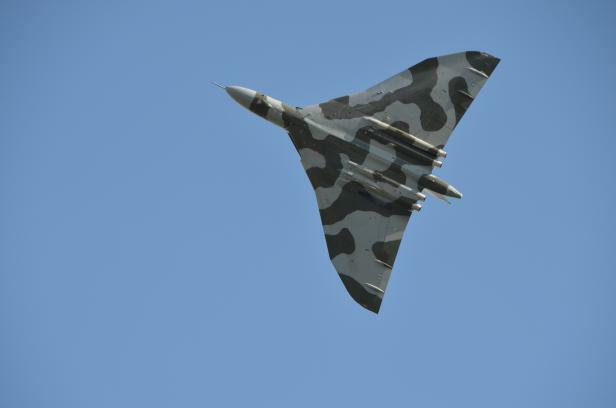 An Avro Vulcan bomber performed a flypast over Cambridge Airport on 27th August 2015. 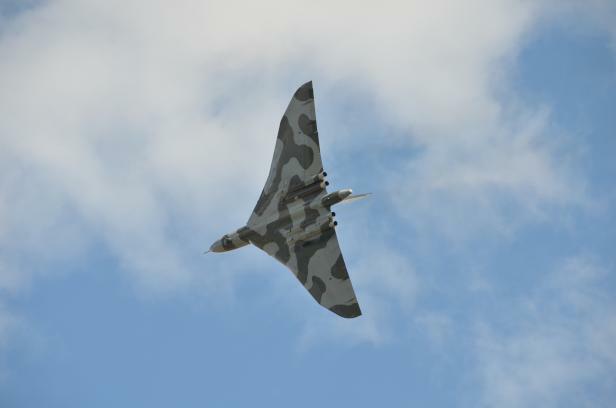 The aircraft, XH558, was the last flying Vulcan in its last year of flying. 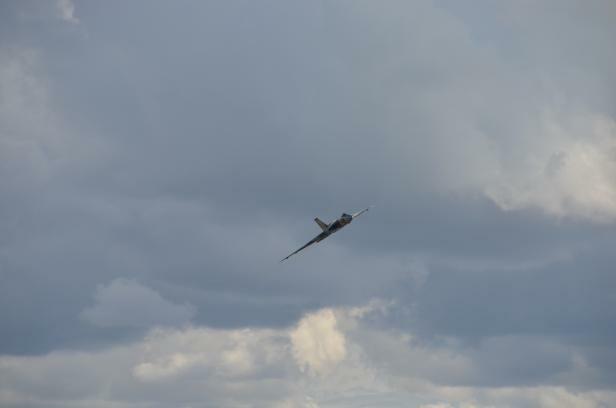 The images below are in chronological order - the flypast consisted of a pass, a large radius turn, and a second pass followed by a steep climb. Its first pass stopped the traffic on the A1303! Click on any thumbnail below for a much higher resolution (4,928 x 3,264) image. All photographs copyright MJ Rutter.